Don’t struggle with jamming wires stuck in the blades any more. Here is the solution. 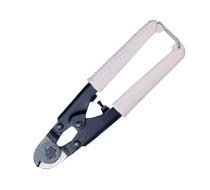 When it comes to cutting stranded steel wire like rigging wires, you need sharp cut. One sharp cut that slice in second. 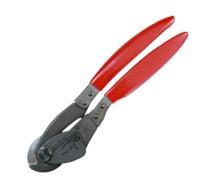 Many cutters that named wire cutter or cable cutter in market often ends up giving you a lot of efforts by leaving a piece of uncut wire between the blades. You would wonder why it doesn’t cut like onion. It’s because their blades are designed to cut soft cables not really for steel stranded wires. After many years of try-and-error, our engineers finally found the best blades for cutting wire ropes, especially for steel stranded wires. The slot jaw is the answer. The slot on cutting blade holds the wire in its shape while cutting blade slices each wire string of the stranded wire. 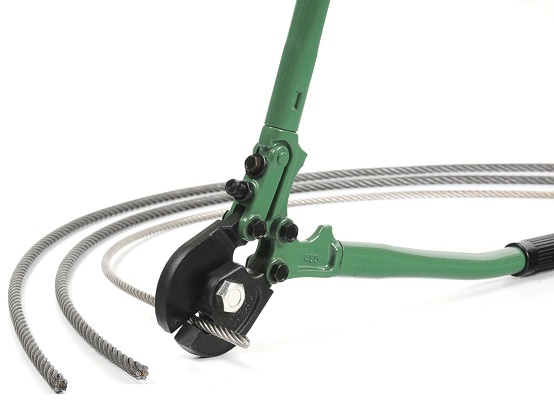 The blades in MCC wire rope cutters never separate each other and leaving a small clearance between the cutting edge. Always the blades moves at close-contact to prevent a piece of wire from sneaking in between blades.